One of my most read posts is my review of 6 of the L.A Girl Pro. 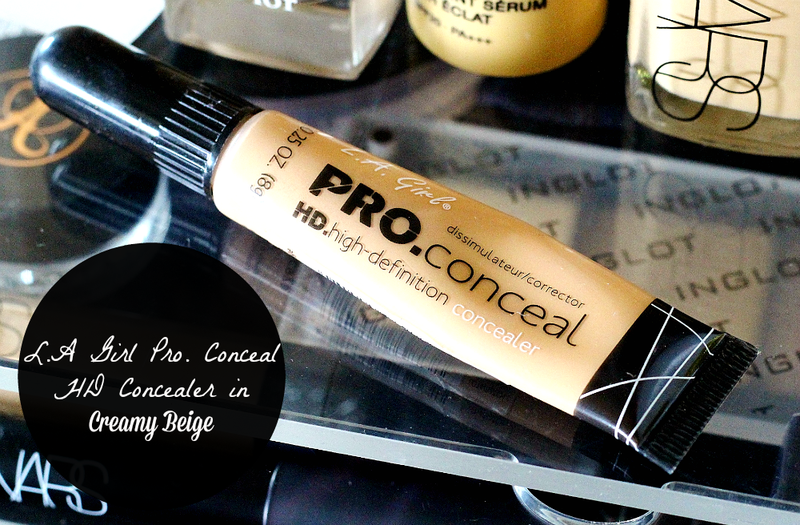 Conceal HD Concealers which you can read here. I bought them from beautyjoint.com which is one of my favourite U.S sites and they only cost me just under £2. However the price has now gone up and the shipping price is also a lot more 😕. So I would recommend purchasing them from beautybay, where the full range is available. These concealers have been named dupes for the MAC Pro-longwear concealer just with more coverage and after using them for a good few months now, I have to say I am still just as impressed as I was before. However when I did my first haul, I didn’t pick up a brightening/highlighter shade which is what I was really lacking, so a couple of weeks later I ordered ‘creamy beige’ and it is just perfecto! ‘Creamy beige’ when first applied on the skin, bizarrely looks a little orange and I was pretty taken aback when I saw this, could it be the same shade I had seen many a YouTuber apply?? Thankfully when blended out with a damp beauty blender it becomes brighter and slightly more yellow toned. Its creamy in texture and opaque too. My favourite way to apply this, as with all other concealers, is to let it sit on my skin for at least 1 minute before blending it out. This increases the coverage more than if you just started to blend straight away. The applicator is awesome, pointy enough to apply product exactly where you need it and also comfortable enough to use on the face. For the price - a mere fiver, I can hardly believe my luck. This is one of the best drugstore concealers on the market and I have purchased a few back ups too. It works well as a brightening concealer for those who wear Stromboli in NARS and probably for the next two shades up too. Just to be clear I don’t use this directly under the eyes or alone on that area. I will always colour correct first and then if my dark circles are particularly bad that day I’ll go on to use either my Kevyn Aucoin SSE or a thicker concealer like to Collection lasting perfection to conceal all the darkness. I’ll then apply this about a centimetre from under the eye, drawing a loose triangle shape and putting it on other areas that I want to brighten. When I’m blending it out I try to push the product, using the sponge, upwards so it all merges together with the concealed darkness just above and finally I ensure I set it well with banana powder. Once you get your blending right (and trust me the beauty blender is the best of the best for this purpose) these concealers are wonderful for getting that highlight and contour on! I've also reviewed the colour correcting concealers from this range here. 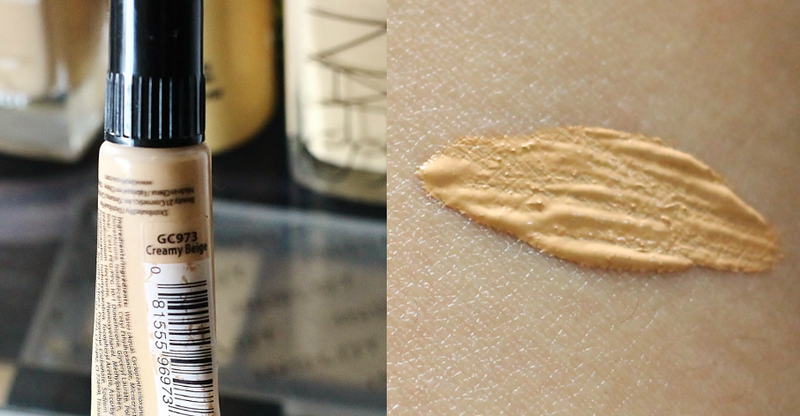 Have you tried this concealer? What is your favourite one for brightening up the face?